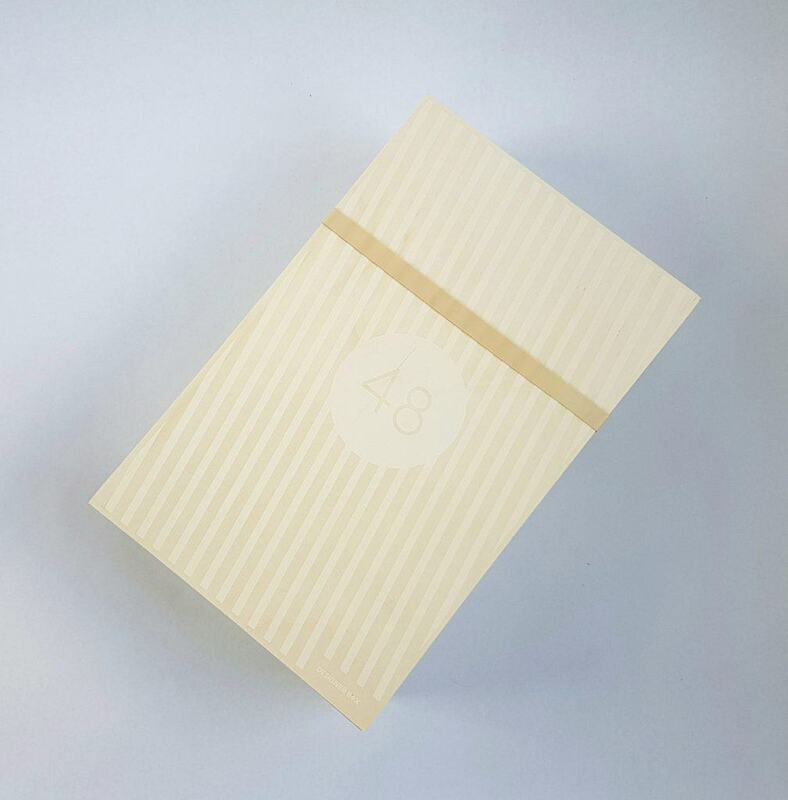 Each month members will receive a numbered wooden box containing a new object not found anywhere else, and especially designed by an international design star. 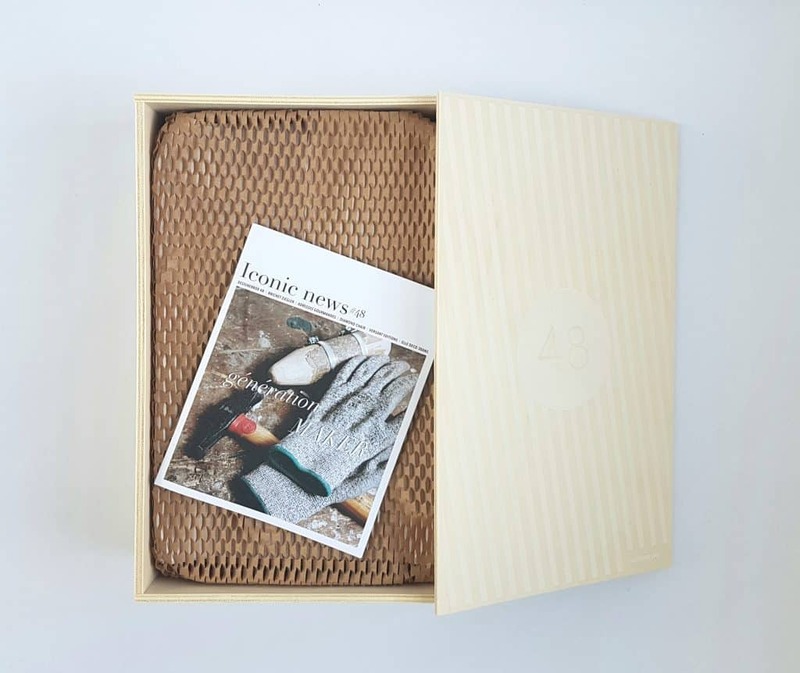 The boxes are produced in limited quantities based on the number of members, and accompanied by a certificate of authenticity. As well as subscribing you can also buy individual items direct from their website. This is actually a French company, though fortunately, because my French is rusty, their website and emails are also in English as well as French. I was excited to try out this subscription. Firstly, it is very different from anything else I’ve received; and secondly, their items are both beautiful and unusual. Our home is full of all manner of eclectic stuff, and both my husband Big C and I appreciate design. 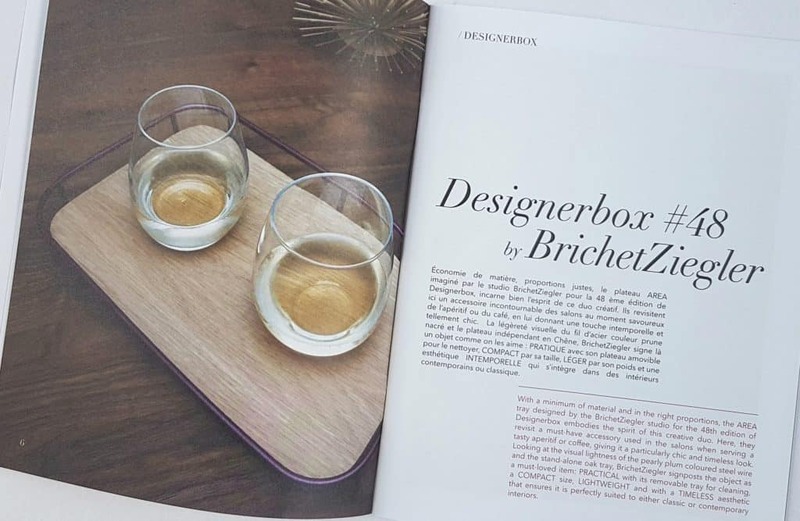 Designer Box works with designers from all over Europe to produce unique and aesthetically pleasing items for the home. 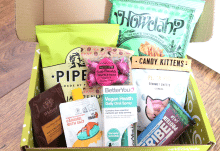 This is the June box, but it actually only arrived the third week of July. This is because there were issues with the May box (#48), which basically put a bit of a crimp in their production and shipping schedule. I was very pleased to see that they’ve finally put the label on top of the box! 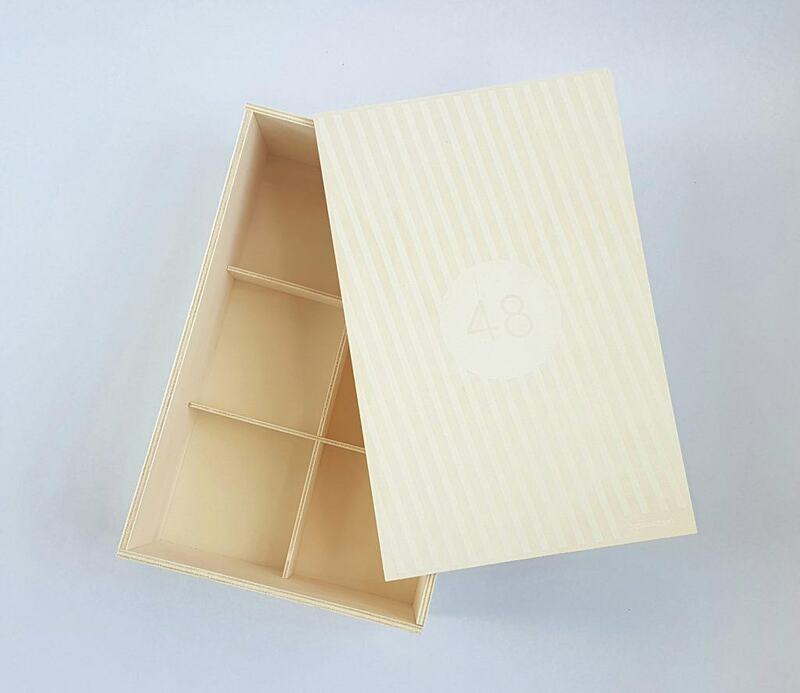 There you can see the top of the numbered wooden box, which contains this month’s item. The outer wooden box is nicely made, and held closed with a thick rubber band. 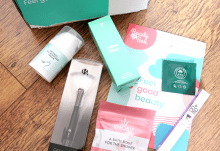 Designer Box always pack their products extremely well! 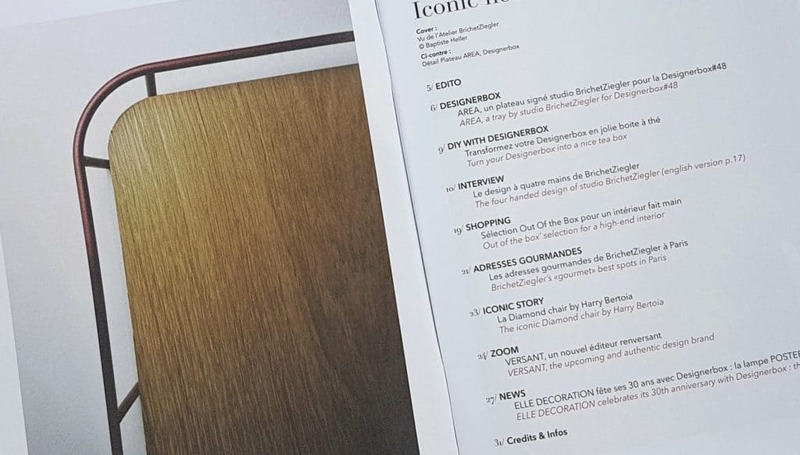 On top is their magazine, Iconic News. The magazine, in both French and English, is packed with information. 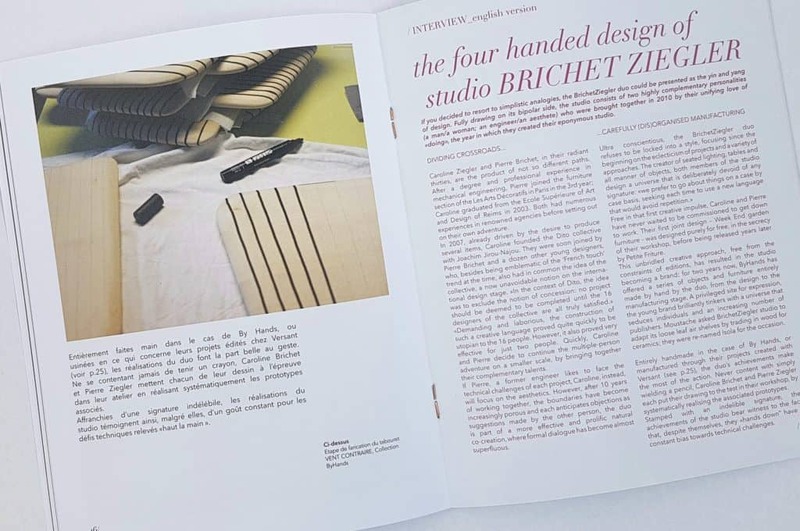 There’s an interview with this month’s designers, plus articles about their studio and other designs. 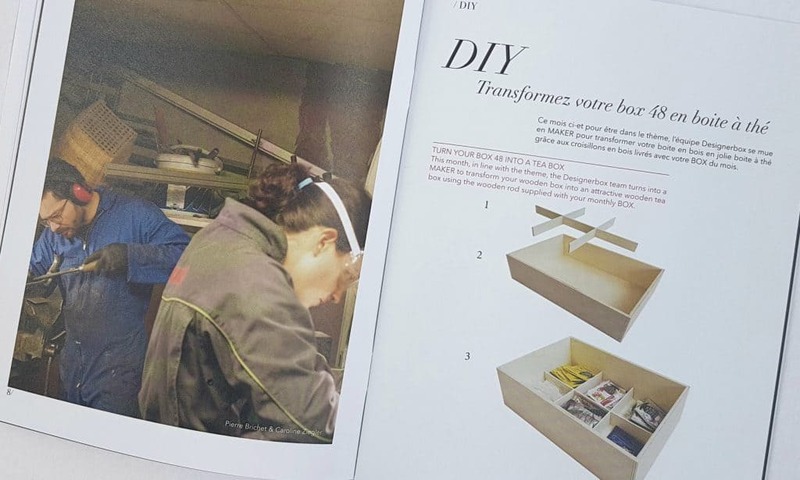 There is also a page bout transforming the box into tea storage. Here is the box with the inserts. This extra dimension to their usual box is very useful. On to what’s actually inside the box! 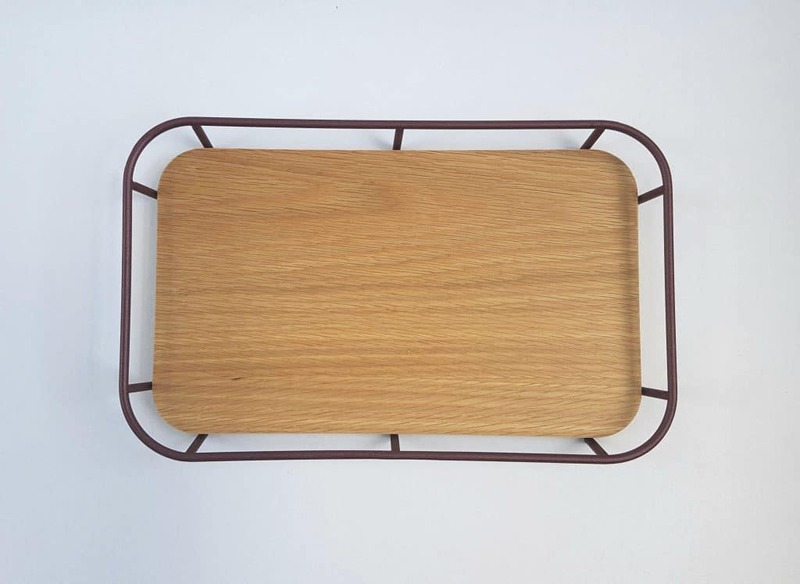 This month’s item is an Area Tray designed by the BricheyZiegler Studio. 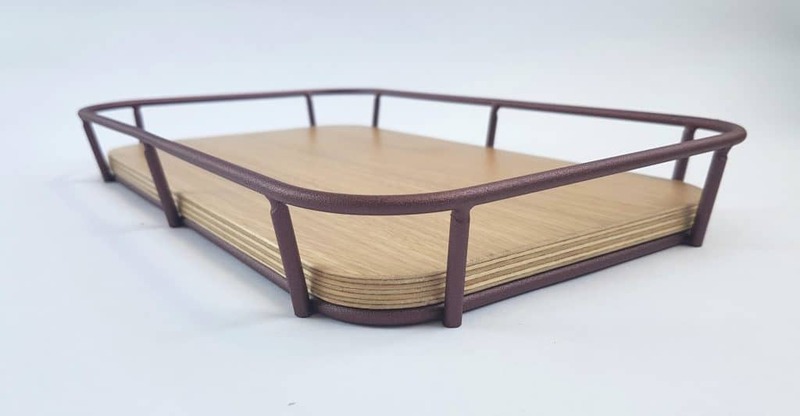 It is a compact size, and the oak tray bottom is removable. It would comfortably fit a couple of large mugs, or two or three glasses. The wire frame is a plum colour with a slight sheen. While it is fairly lightweight, it doesn’t feel flimsy. One thing I noticed is that the paint finish on the wire was slightly damaged. While it’s not really noticeable from a distance, upon closer examination it looks as if it has been knocked at some point in the manufacturing process. 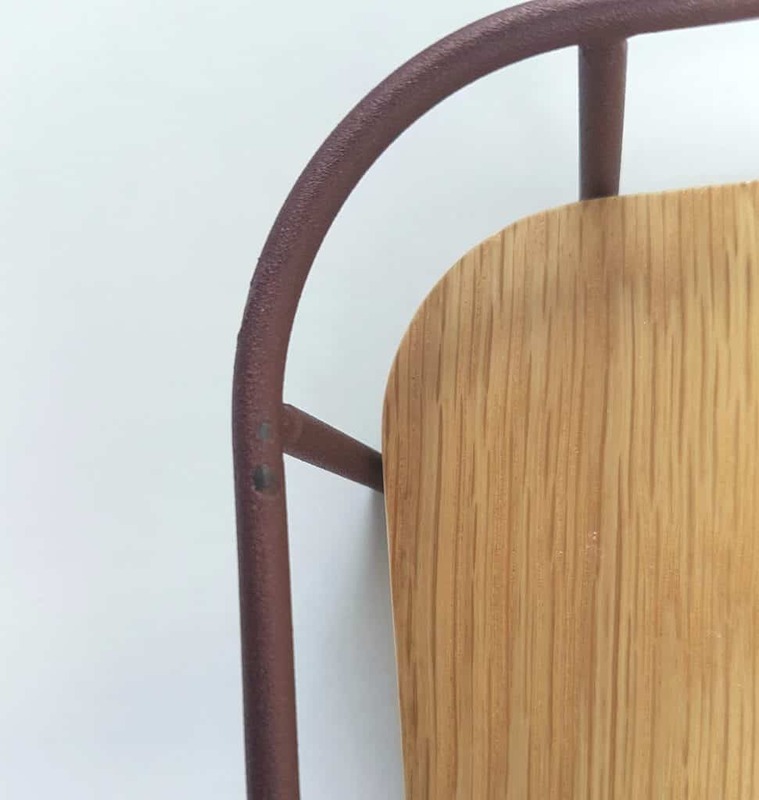 The removable oak piece in the bottom could also be used alone for serving. When placed inside the frame it is not fixed or a tight fit, so you have to be careful not to push up on it. As long as you carry the tray by the frame this won’t cause any problems. I’m slightly disappointed that there is little flaw in the painted finish, but the size and shape is attractive. The thick open wire frame adds a lightness to the shape as a whole that makes it both stylish and unpretentious. This would make a nice display piece as well as a practical, if small, serving tray. I like things which are both attractive and useful, and this ticks both boxes. I realise that the delivery delays are outside of the company’s control. That being said, I think they need to be a little proactive about keeping customers informed. Social media is particularly useful for this, and I think they could make much greater use of their Facebook page. I love their inner packaging. The wooden box is lovely, durable, and most importantly, reusable! 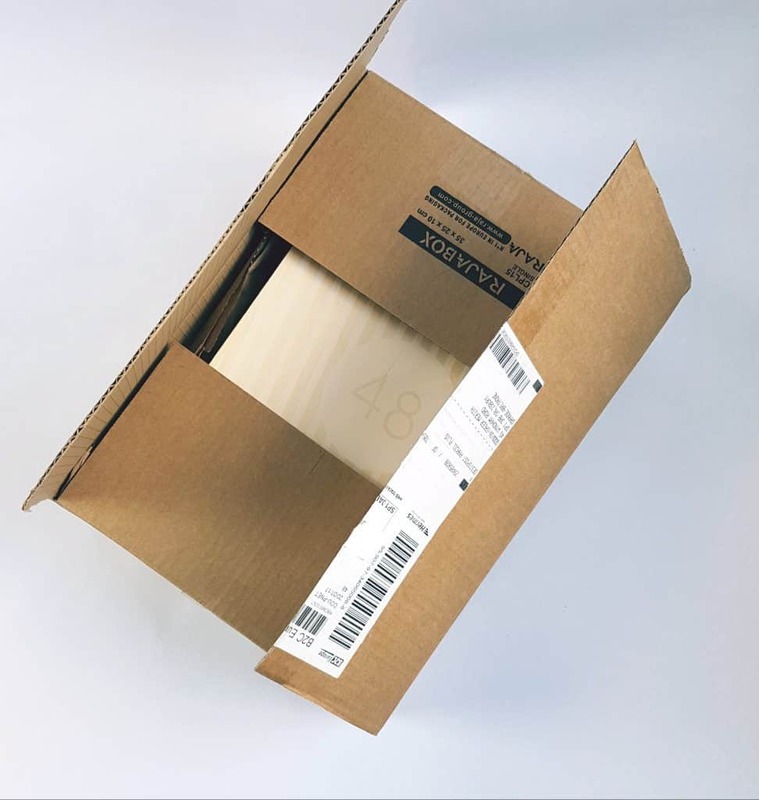 I still think they should put some kind of basic branding on their shipping box, for aesthetic purposes. It’s difficult to get excited about a basic brown cardboard box. But the packaging inside is excellent. As always, longer subscriptions are cheaper. 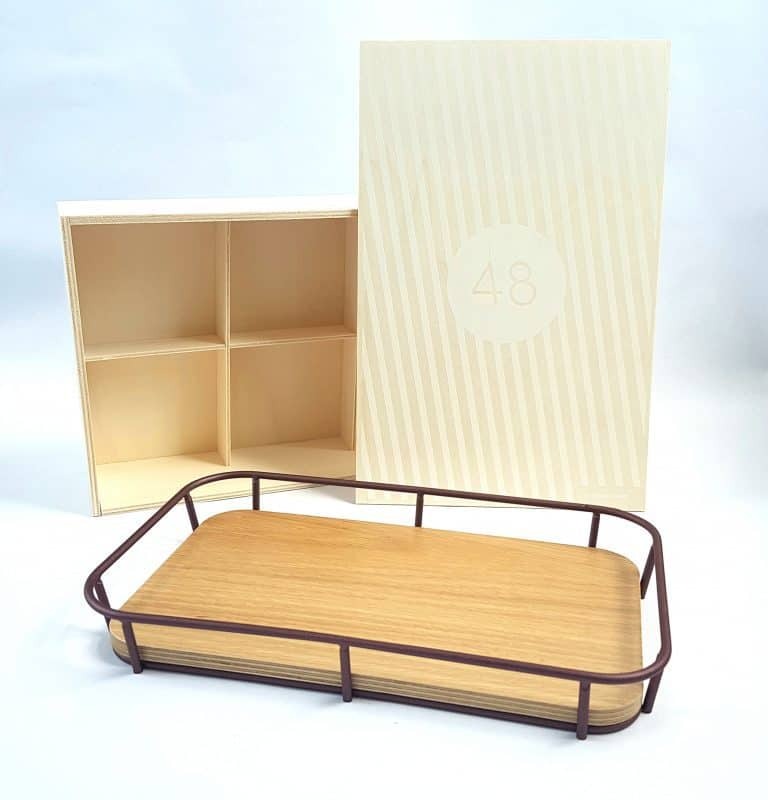 While there is no guarantee you will like every item sent, the Designer Box website gives you a good idea of the general character of their various items. If you like interesting contemporary design, or you know someone who does, this is a great way of discovering new designers, and adding intriguing and original touches to your home.